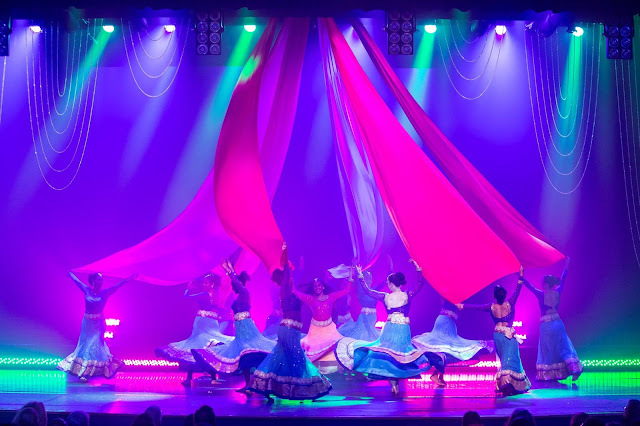 If the reviews from international critics are anything to go by, the South African audience is in for a treat as the festive Bollywood music and dance spectacular, Mystic India, hits the stage at the Durban ICC on the 23rd April and at The Teatro Montecasino from the 29th April to 1st May 2016. Seen by over half a million people during countless worldwide performances and tours, Mystic India is an internationally acclaimed Bollywood music and dance spectacular based on the concept of ancient India’s transition into modern India. This production intertwines a mesmerising combo: Traditional India meets the urban streets of Mumbai and New York. It is hip and trendy with all the glitter and bling to make it an all-out sensory sensation. This feast showcases Bollywood at its finest and audiences can brace themselves for an explosion of colour and energy. Audience members will be invited along for a festive journey through Rajasthan, Tamil Nadu, Maharashtra, Punjab, Uttar Pradesh and Gujarat, and even through the evolution of Bollywood films via a visual display that fuses dance, theatre and special effects. The celebratory production is directed and choreographed by the prominent choreographer and production master, Amit Shah, and produced by US-based AATMA Performing Arts, of which Shah is the founder and creative director. Shah is known for his critical eye and creative disposition, and has many years of experience in the world of dance, theatre and media. He has worked on Bollywood film sets with top actors and his choreography has been featured on stage with Miss World Priyanka Chopra, as well as in several films and music videos. The female lead of Mystic India, Kruti Shah, is an internationally distinguished dancer and choreographer who shot to fame as a Top 10 finalist on the dance reality show, Just Dance. While intensively training in modern forms of movement, such as ballet, pointe, tap, hip-hop, jazz and modern, Kruti also developed an interest in more ancient Indian forms of dance, particularly Bharatnyatam and Kathak. She joined the AATMA as a principal dancer in 2010 and has since been promoted to choreographer and dance trainer for the popular troupe. Mystic India’s narrator, Sanjay Sahini, is originally from Delhi, India, and received his professional actor’s training at the acclaimed HB Studios in New York City. His breakout role was in the movie Khel Shuru in 2006, and since then he has gone on to perform in numerous films, theatre and off-Broadway productions. One of his most notable performances was in Qurbaani, a short film for which he received a Best Actor Award. He also received numerous awards for his one-man show, in which he performs incredible imitations of Bollywood’s big stars. Bringing the element of adventure to Mystic India, are the specialty acts, like the ancient sport of Mallakhamb and the aerial arts. The choreographer, trainer and performer in charge of constructing these stunning pieces into the show, is Rajesh Mudki. He hails from Mumbai, India, where he has devoted his life to these spectacular sports. Mudki has trained in Mallakhamb since the age of six, and has since mastered the aerial mediums of silk, hoop, harness and rope. In 2007 he was honoured with the Shiv Chattrapati Award from the Chief Minister of Maharashtra for Best Athlete of the Year. He is the youngest player in history to receive this prestigious award. Mudki has appeared and worked on shows, such as Dance India Dance, Just Dance, DID Little Masters and India’s Got Talent. This larger-than-life Bollywood extravaganza is brought to you in association with ZEE TV and will run at the Durban ICC on the 23rd April and at The Teatro Montecasino from the 29th April to 1st May 2016. Tickets range between R185 and R485 and will be available through Computicket (www.computicket.com) and its various retail outlets. Bookings open on the 23rd February. For more information, visit http://www.mysticindiatheshow.com/.